Could we be on the cusp of an electric propulsion revolution? The future of electric propulsion lies in battery capacity. There seems to be something significant about “going electric” in Newport, Rhode Island. Bob Dylan plugged in his Fender at the 1965 Newport Folk Festival, alienating a certain portion of his fan base but also launching his career into the stratosphere. 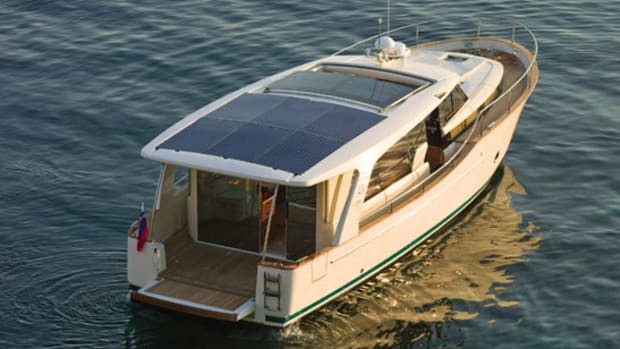 Did Hinckley premiere its all-electric Dasher at last year’s Newport Boat Show as a nod to Dylan? Probably not, but as a fanatic of his music and career, I like to think that Dylan’s influence enters all realms. Bob did write of his experience at Newport, saying that he “failed to sense the ominous forebodings” of his quantum leap in sound. Likewise, Dasher is a good omen of the sea change that could reimagine propulsion in the marine industry. 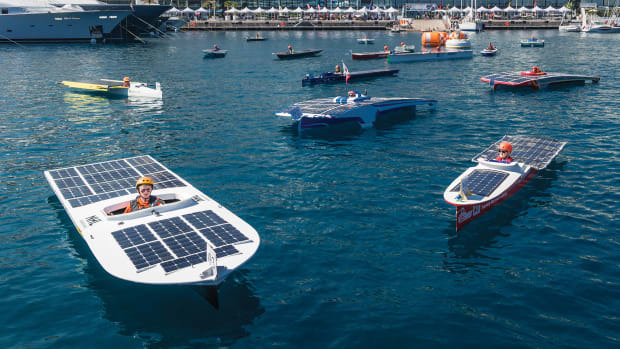 “Electric mobility in boats is a part of the larger sustainability revolution that is sweeping across the globe,” said Torqeedo CEO Christoph Ballin. 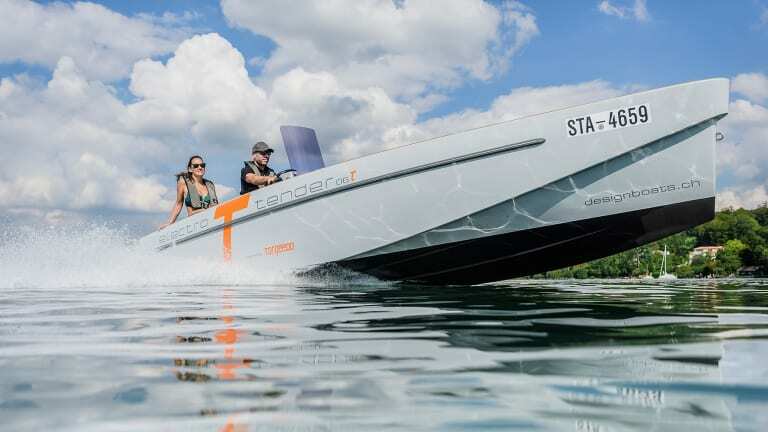 Based in Germany, Torqeedo was founded by Ballin and partner Friedrich Böbel to provide clean-tech solutions for boat propulsion. 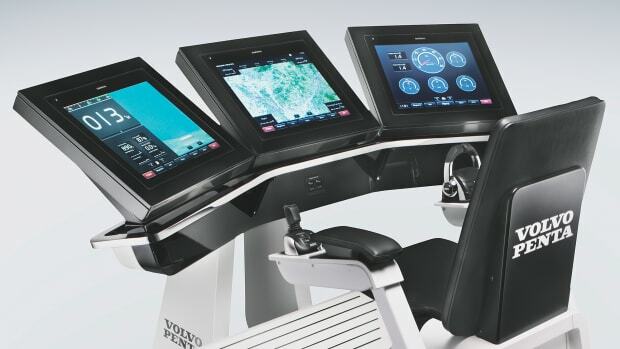 They have been producing all-electric outboards and inboard power systems for smaller vessels since 2004, but have taken a giant step forward recently, courtesy of a tech trickle-down effect from BMW. The two lithium-ion batteries under Dasher’s deck are the same that power BMW’s all-electric i3. 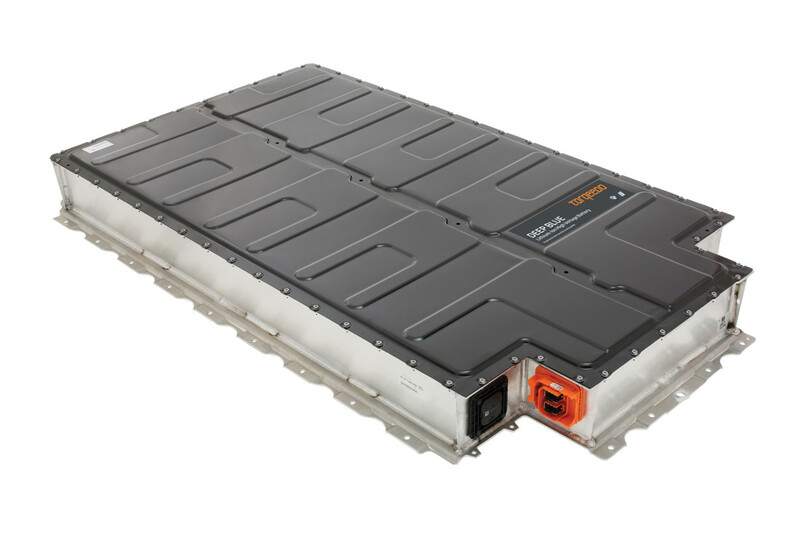 Rated at 80 horsepower, the i3 battery—dubbed Deep Blue by Torqeedo for use in the marine industry—has the advantage of already undergoing extensive testing, and it’s proved worthy in everyday use. The space-saving flat design allows it to be placed in myriad locations on a vessel or stacked if multiple batteries are required. 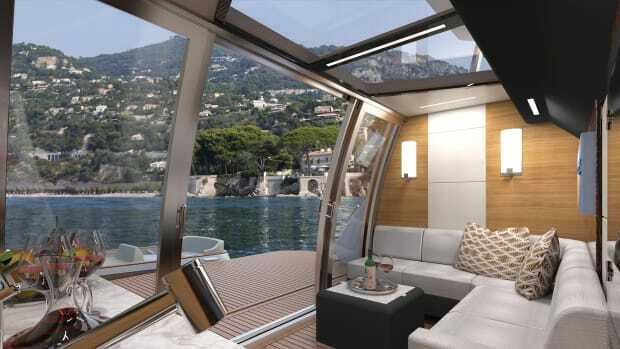 A rugged outer shell protects the battery cells (approved via a barrage of safety certifications required for road use) and is ideally matched to the pounding they’ll face at sea. It charges quickly, too. 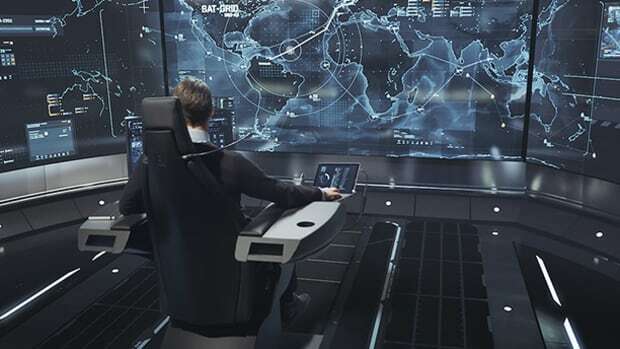 Deep Blue is now matched with its proprietary electric propulsion system, and as a result, Torqeedo has seen partnerships emerge with other builders to develop all-electric vessels. The limitations of this type of system are familiar to any of us who’ve read about or perhaps have interest in a Telsa: range and cost. Ballin is confident that the automotive-scale, billion-dollar R&D is well on its way to solving these issues. “Energy storage technology is the primary limiting factor, but batteries are getting better every day [and] energy density is projected to improve by seventy percent over the next two years, while the cost [dollars per kW hours] is expected to fall by one-half over the same time frame,” he explained. One factor—recharging infrastructure—that hampers electric cars is where boats seem to have the advantage. Ballin pointed out the obvious: Shore power is ubiquitous at docks and marinas and can easily be deployed to charge your vessels. 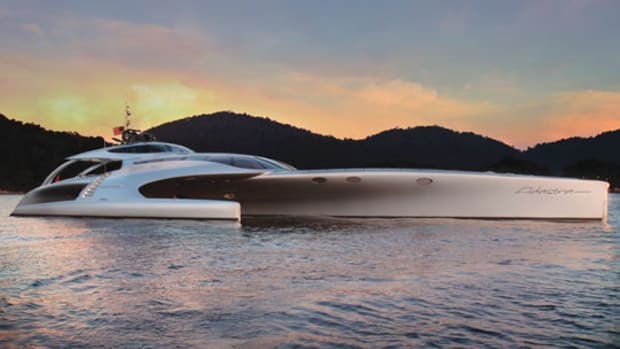 If a yachtsman’s power demands are met, I’m hard-pressed to find a reason why he wouldn’t choose all-electric propulsion. 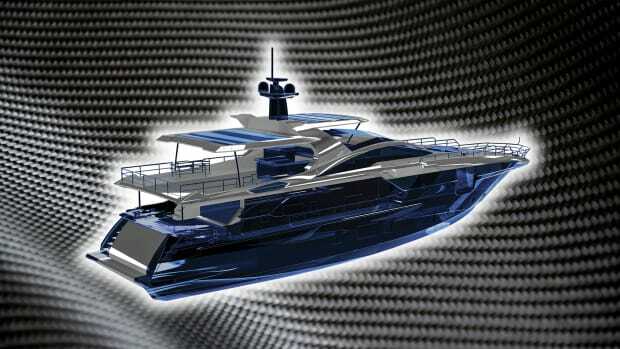 Firewall the throttles on an electric boat and 100 percent torque is available, instantly. That’s pretty cool. 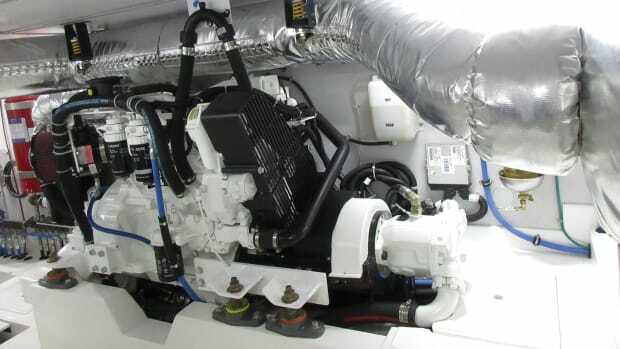 A clean, green solution is also a great selling point—near-silent, emission-free cruising could convert many boaters. 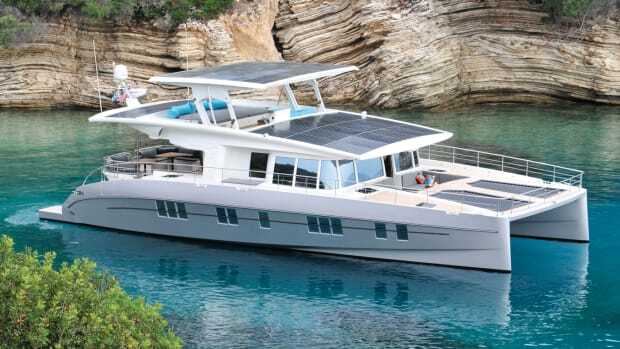 Will consumer demand for greener transportation drive sales in the recreational marine industry the way it has in the auto industry? The answer, my friend, is blowin’ in the wind.